San Francisco, even more so than many other cities in California including Los Angeles, has become more and more a city of bike riders. Cyclists are beginning to commute more to work and home in the “City by the Bay” but, unfortunately, aggressive bike riding recently led to the death of a pedestrian and caused an fairly uncommon scenario, namely, a biker being charged with vehicular manslaughter. On the morning of March 29th, a software developer by the name of Chris Bucchere was commuting to work on his bike. As he approached the intersection in an area of the city used by many pedestrians, he ran through a red light and struck a 71 year-old man attempting to cross the street. Nearby surveillance cameras caught the incident on tape allowing officials to estimate the cyclist’s speed at approximately 35 miles per hour or more. A story in the New York Times attributed statements to the cyclist as follows: “I laid it down and just plowed through the crosswalk in the least crowded place I could find.” In a fairly unprecedented move, the bike rider was later charged and entered a plea agreement on criminal charges of vehicular manslaughter. What Can This Incident Teach Us About The Laws As They Relate to Bicycles and Persons Traveling on Foot? In addition, California Vehicle Code 21950(a) requires all drivers of “vehicles” to yield the right of way to pedestrians lawfully crossing a street either within a crosswalk or at an intersection that doesn’t have a crosswalk. Obviously, it is also unlawful to run a red light and probably negligent to try to “beat out” a light about to turn red. 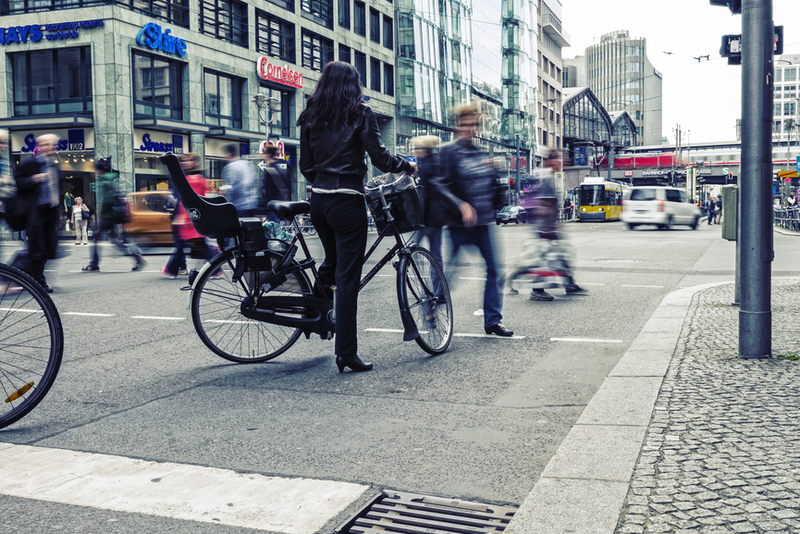 From a civil liability standpoint, the cyclist may also be subject to both wrongful death damages for the loss of a loved one and the economic support associated with the decedent but, may also subject himself to punitive damages. The civil standard for punitive damages is conduct, which shows a “conscious disregard for the rights and safety of others” under California Civil Code 3294. The conclusion to be drawn is that bikers need to realize that they have all the “rights” of vehicles but, also all the same responsibilities!